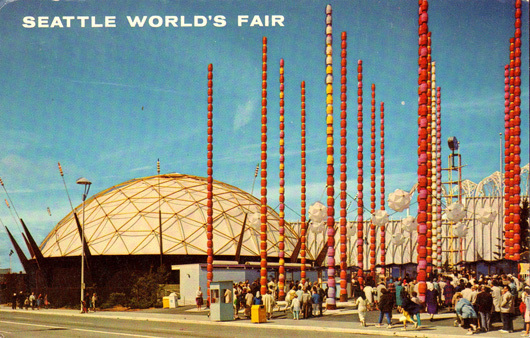 Mid-Century Modern Flickr Pool | Shelby White - The blog of artist, visual designer and entrepreneur Shelby White. It’s a wonderful feeling to look back at older art & design. This particular group of images, sourced from a pool on Flickr called Mid-Century Modern Art & Design, are just a few of many that I really enjoyed. Don’t let the great image of the Sands Motel fool you. Maybe at one point in its life it was an oasis but now, its far from it. 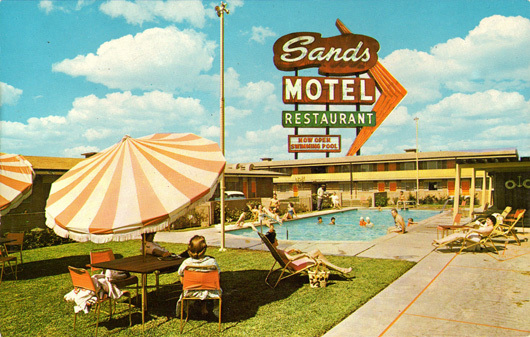 I included this image because of my personal recollection of the motel and also because I wasn’t aware that the Sands Motels existed anywhere but in downtown Boise, Idaho. In the image above it looks gorgeous and like it was the hot spot. That certainly wasn’t the case in Boise back in 2002. The Sands Motel as I knew it, was a trashy, run-down motel where drug deals and prostitutes went down. The sheets of the beds had burn holes, the knob of the sink came off to the touch and fell down the sink (whoops), and lastly the TV. My brother and I were little and of course wanted to watch some TV (more than likely to get our minds off the fact that this motel was sketchy) so our dad hardwired the TV back into working order because someone had cut the wires off the back of it for some unknown reason. On top of that I believe that when our dad went into the lobby to get a room, the guy was sleeping in his chair with his arms falling back to each side and his head tilted over the back of the chair, looking like he was dead. If this wasn’t an indication that we shouldn’t stay here, then I don’t know what was. :) Enjoyed these and your story! Is it just me or does the last photo look a little like the Brady Bunch home? I think it’s quite interesting that the last two houses are identical, just flipped and placed in different scenes. what a gem. thanks shelby! 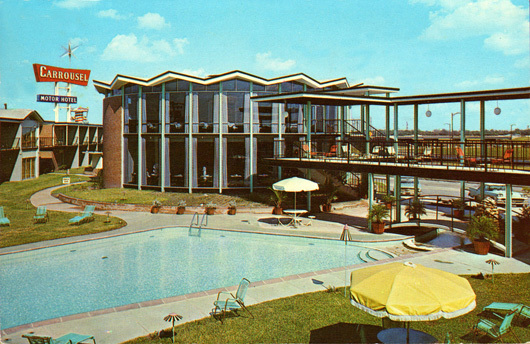 Speaking of boise… I’m sure you’ve seen The Modern Hotel which has been restored to it’s original mid-century modern awesomeness. Shawn, I was unaware of this! The Modern Hotel looks amazing–great find. Nice sampling. I love that era for design. 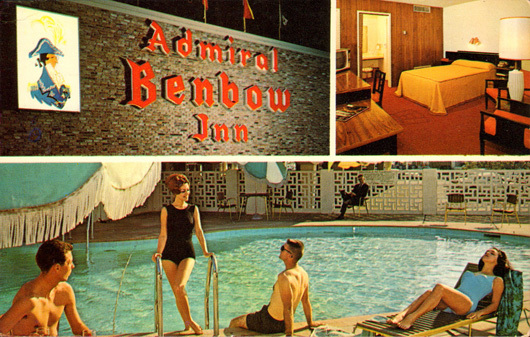 Love the era of going to stay in a cheap hotel as a destination and then sending postcards of the hotel you are staying in. Motor Hotel has a lovely ring doesn’t it? I wish my house had that much vacant space surrounding it! I hope to one day be just as crafty and my dad.